This page lists the best writing books, along with selections from may favorite authors, and a few of the best art instruction books available on Amazon.com. Scroll down. The Elements of Style, by William Strunk, Jr. & E.B. White. This is the number one most important book for writers, which professional writers reread about once a year. On Writing Well: The Classic Guide to Writing Nonfiction, by William Zinsser. Recommended for all non-fiction writers, whether you want to write about people, places, science and technology, business, sports, the arts, or a personal memoir. The Artist's Way, by Julia Cameron. This book and others by Julia Cameron are the essential artists' support group. Writing the Natural Way: Using Right-Brain Techniques to Release Your Expressive Powers, by Gabriele Lusser Rico. This is the essential book for learning to brainstorm on paper. It is the handbook on "clustering," which is a word for mapping your ideas. If you enjoyed reading Twain's classics about Tom Sawyer and Huckleberry Finn, they you are ready to go off the beaten track with Twain. The Early Tales & Sketches collection is the work of Edgar Marquess Branch, Robert H. Hirst, and Harriet Elinor Smith (editors), of the Iowa Center for Textual Studies and University of California Press. These two volumes are nearly eight hundred pages each of Twain's newspaper articles and other short writing. If you are already a Twain freak, you will invest in these hefty books. It is said that Mark Twain rewrote parts of the Bible to suit himself, and this volume edited by Howard G. Baetzhold and Joseph B. McCullough, proves it. Check out The Bible According to Mark Twain. 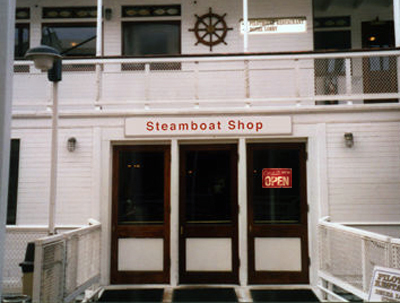 Mark Twain was America's first travel writer, predating American travel heros Martin and Osa Johnson. Nineteenth century Americans saw the outside world through Twain's eyes. For a great collection of his writings, get Mark Twain on Travel, edited by Terry Mort. The collection includes Twain's writings on the Mississippi River, California, The Pacific Islands, India, the Middle East, Italy, Germany, The Alps, and Paris. The War Prayer, by Mark Twain, with illustrations by John Groth. This is a beautifully illustrated small book of Twain's prose poem, The War Prayer, which is a scathing indictment of blind patriotic fervor. Asked if he would publish it, he said, "No, I have told the whole truth in that, and only dead men can tell the truth in this world. It can be published after I am dead." The War Prayer, by Mark Twain, with drawings by John Groth, is a small book that makes a great gift. One of the reasons I love Joseph Campbell is that he made connections for us that we might have missed. He knew the myths of all the world's cultures and religions, and put them all together for us. His most famous books were The Hero with a Thousand Faces collection, The Power of Myth, and the PBS interview series with Bill Moyers on his writings, Joseph Campbell on Power of Myth With Bill Moyers My favorite book is An Open Life: Joseph Campbell in Conversation with Michael Toms. Another favorite is Myths to Live By. 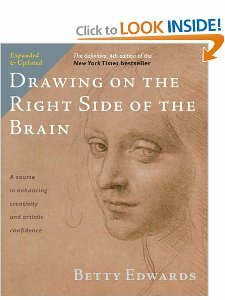 Drawing on the Right Side of the Brain: A Course in Enhancing Creativity and Artistic Confidence, by Betty Edwards The most excellent method for learning how to draw. The Elements of Color, by Johannes Itten. Itten's book on color (final draft by his editors). 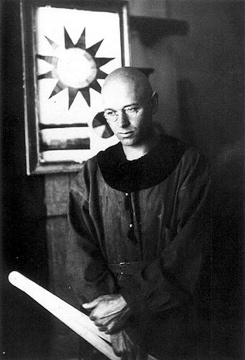 Johannes Itten was a Swiss expressionist painter, designer, teacher, writer, and theorist associated with the Bauhaus school of art in Germany. Maybe he does not haunt your dreams, but he does mine. Kandinsky was the first abstract artist, contemporary of Picasso and other modern artists. 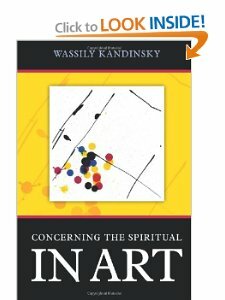 Concerning the Spiritual in Art is his manifesto on the purpose of art. 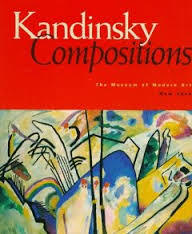 Kandisky Compositions, The Museum of Modern Art, New York. A collection of Kandinsky's ten monumental canvases that he titled Compositions. He painted the first seven in intense succession between 1909 and 1913, and the final three in 1923, 1936, and 1939. Cosmic Critiques: How & Why Ten Science Fiction Stories Work, by Issac Asimov & Martin Greenberg. Stalking the Feature Story, by William Ruehlmann. The cover says it all: "How to get and write the facts on the people, places and events that make the news." This book was written decades ago, but modern journalism could use an infusion of old fashioned honesty in news reporting. Get the facts and get them right. Writing the Memoir: From Truth to Art, by Judith Barrington. Bird by Bird: Some Instructions on Writing and Life, by Anne Lamott. Excellent advice on how to say what you want to say. Inventing the Truth: The Art and Craft of Memoir, by William Zinsser. An indispensable book by writers who have experienced firsthand the rewards and challenges of crafting a memoir. 1001 Ways to Market Your Books by John Kremer - This and the Judith Appelbaum book can help you sell your books once you're published. How to Get Happily Published, by Judith Appelbaum. Legal and technical manual for writers who have a manuscript to sell, or a manuscript that has just sold. Gives useful information on dealing with the powers that be; promoting your book once it's published. Getting Published: The Writer in the Combat Zone, by Leonard S. Bernstein. Tips on how to write and how to get published. Spider, Spin Me a Web: Lawrence Block on Writing Fiction, by Lawrence Block. Collection of author's columns from Writer's Digest. Writing the Novel: From Plot to Print, by Lawrence Block. Elementary how-to. Zen and the Art of Writing, by Ray Bradbury. Author tells of his inspiration for various books, stories. Zen and the Art of Screenwriting, by William Froug. Becoming a Writer, by Dorothea Brande. This wise book is designed to simply help you get over yourself and write. Starting From Scratch, by Rita Mae Brown. The author's instructions about what you should know when you write fiction. Writing a Novel, by Dorothy Bryant. Thoughts on the novel, by American novelist, playwright, essayist, and feminist writer. Fiction Writer's Handbook, by Hallie & Whit Burnett. A how-to for fiction writers by the original publishers of Story magazine. How to Write Science Fiction and Fantasy, by Orson Scott Card. Freeing Your Creativity, A Writer's Guide, by Marshall Cook. Writer's block breaker. Maybe You Should Write a Book, by Ralph Daigh. General comments about the publishing field; successful writer letters and interviews. The 29 Most Common Writing Mistakes (And How to Avoid Them), by Judy Delton. Plot (Elements of Fiction Writing), by Ansen Dibell. From Writer's Digest fiction writing series. 100 Things Every Writer Needs to Know, by Scott Edelstein. Writing From the Inner Self, by Elaine Farris Hughes. Lots of writing exercises, fun book. Screenplay: The Foundations of Screenwriting, by Syd Field. The Screenwriter's Workbook, by Syd Field - a screenwriting class in a book. Syd Field sets the standard of screenwriting for Hollywood. Writing Down the Bones: Freeing the Writer Within, by Natalie Goldberg. Inspirational essays about the writing life. Writing on Both Sides of the Brain, by Henrietta Anne Klauser. How to write; includes writer's block busters. Write it Down, Make it Happen: Knowing What You Want - and Getting It! Creativity: simply writing down your goals in life is the first step toward achieving them. The Art of the Novel, by Mlan Kundera (author of The Unbearable Lightness of Being). An expressionist Kundera's view of what fiction should embody. The Key: How to Write Damn Good Fictin Using the Power of Myth, by James N. Frey. Writing coach applies Joseph Campbell's teachings to writing fiction. Technique in Fiction, Robie Macauley & George Lanning. Start-to-finish text on writing fiction. The Courage to Create, by Rollo May. Where creativity comes from and its purpose in society. Show, Don't Tell, William Noble. 100 Ways to Improve Your Writing, by Gary Provost. how to come up with ideas, get past writer's block, create an irresistible opening, develop an effective style, choose powerful words and master grammar, rewrite. Master Fiction Writing, by Kit Reed. Theme and Strategy, by Ronald B. Tobias. From Writer's Digest fiction writing series. How to Write Tales of Horror, Fantasy & Science Fiction, by J.N. Williamson. Excerpts from good SF writers. Writers on Writing, Jon Winokur (ed). Quotes from writers about the subject. Advice to Writers: A Compendium of Quotes, Anecdotes, and Writerly Wisdom from a Dazzling Array of Literary Lights. Spiritual Quests: The Art and Craft of Religious Writing. Various authors' essays on how and why they write about their faith.